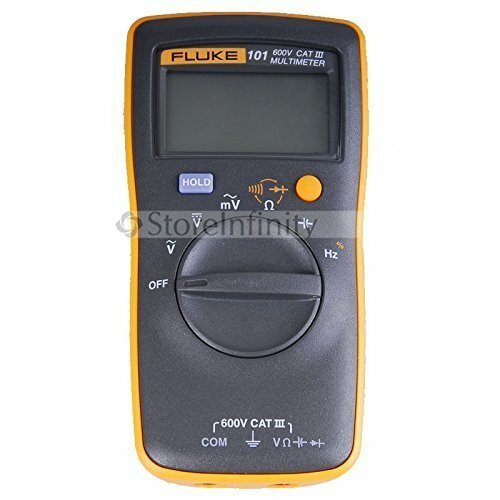 Designed for basic electrical tests, the Fluke 101 digital multimeter offers reliable measurements for residential/commercial electricians and heating and air conditioning technicians. This small, lightweight multimeter fits comfortably in your hand but is rugged enough to withstand daily use for years to come. 6)Fluke SmartStrap intelligent magnetic versatile strap (Fluke101kit as standard , Fluke-101 is optional ) specially designed , adsorption, suspension, support, heart used to make the instrument easier to carry and perform tests .